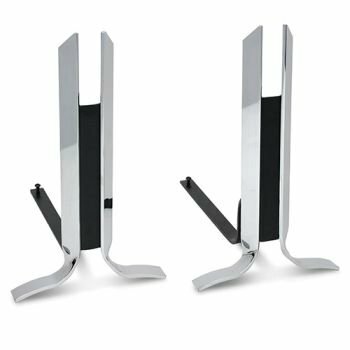 Cutting edge modern design with polished nickel accents make this design an instant favorite. These beautifully plated andirons are not recommended for use in traditional wood burning fires. If you burn wood, remove them prior to lighting your fire. 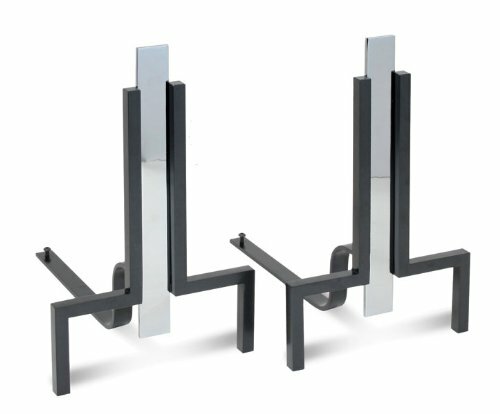 Andirons are approved for use with gas burning logs. 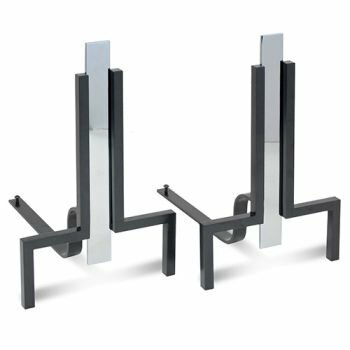 Logs should never be placed directly on top of andiron leg supports and should always be uses in conjunction with approved burn grate. A Pilgrim Original Design. Lifetime Guarantee. 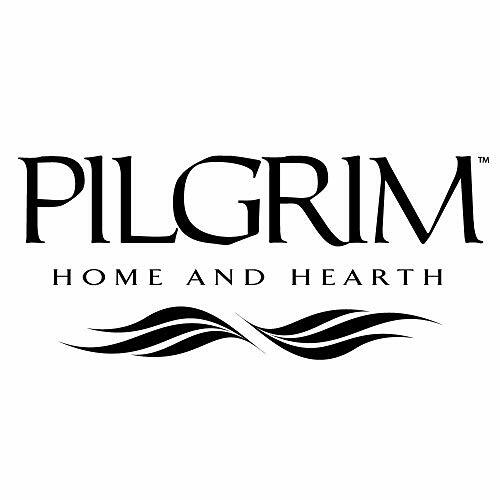 Pilgrim Home and Hearth a US based leading designer, manufacturer and wholesale distributor of high quality Hearth & Home fireplace and home décor accessories for over 65 years. Pilgrim is trusted by millions of families to be at the center of the home with beautiful fireplace screens, fireplace tool sets and hundreds of unique home décor solutions. Pilgrim’s success is based on thoughtful design, honest materials, careful craftsmanship and lasting customer satisfaction. 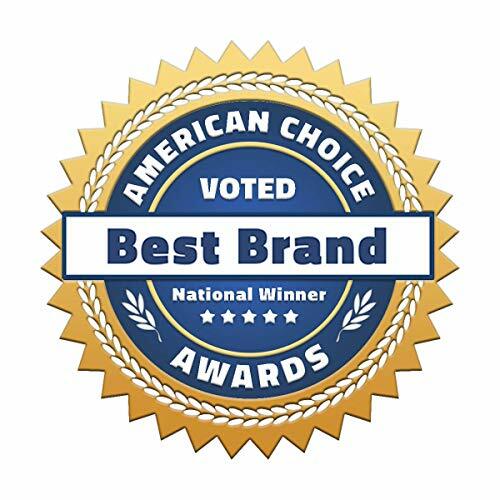 Pilgrim is a strategic OEM partner for some of the most influential and respected retail brands in the country. The fireplace accessories from Pilgrim’s collections are regularly featured on movie sets, design and architectural publications. Pilgrim manufactures a broad collection of fresh décor essentials designed for every style of home and fireplace all backed by Pilgrim’s legendary Lifetime Quality Guarantee. Remember, the consequence of poor quality lingers long after the thrill of a bargain is forgotten.